The coldest looking i5! Make your friends green with envy with this i5! Great looking red colorway! A bit of golden flair on a classic black goggle. Classy and simple color combination. 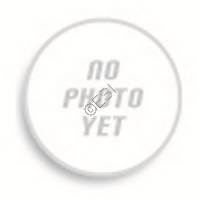 Only for use between the i5 goggles & M2 MOSAir markers. Best of both worlds, part smoke part silver mirror. . The latest, and naturally the greatest in a long line of invision goggle systems is set to officially release in late October. 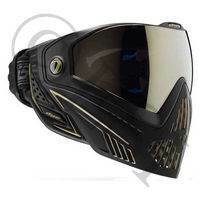 The i5 builds upon the previous strengths of the invision line, while also adding in some truly spectacular and technologically advanced features ever put in a paintball mask.Some of these advanced features include the E Voke system, which allows your Dye M-2 communicate with you and your goggle system.. Wirelessly. Also as cameras have gotten smaller, and more durable many players have began to film themselves while playing. 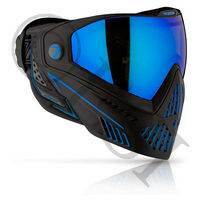 Dye has noticed that trend and has incorperated a camera mount right into the goggles desing, you can now mount your camera to your goggles to achive a truly first person point of view in your clips. 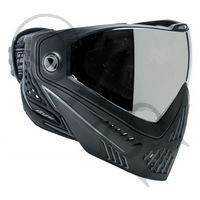 The chief complaint of the previous Dye Goggles: the i4 was its extremely low profile frame. It to a lot of players was simply too small, many being concerned it would not protect their jaw line during play. Dye heard this complaint and made the i5's frame 20% larger than the i4's, while still maintaining a tight and low profile. This is a huge upgrade for any players who previously did not want or could not wear the i4's due to their size. Now you can play your game in comfort and have your jawline protected from direct shots. Lens - The i5 is compatible with all i4 lenses. One thing Dye did not change, much to the excitement of all players who currently use i4's: the lens. The Dye i5 uses the same lenses as the i4's did, meaning you can use your cool mirrored lenses from your i4. These thermal lenses have an impressive 290 degree field of view, and are already available in a plethora of colors and styles. The lens will of course have the ability to be swapped in and out for another lens in just a matter of seconds. Simply pinch the retention clips, slide them forward, and remove the lens. Clarity & Protection are the biggest issues for ear pieces. Players demand to have ear pieces that do not negatively impact their hearing, while also protecting their ears from paintball impacts. The i5 has ears that were designed specifially for these two features. They feature strategically placed holes, that are shaped to make it easy to hear. These holes allow sound waves to travel through the protection without impacting its volume or clarity. 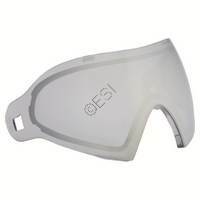 As for protection the i5 excells and will never leave your ears uncovered or unprotected. Dye has introduced a new soft touch foam style for the i5. 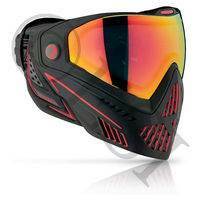 It uses a high grade open cell multi-layer foam, that provides the best fit and comfort in a Dye mask yet. 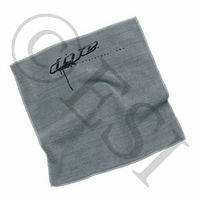 It is a compression foam that helps to form fit to your face and create a comfortable seal. While this only currently works if you have a Dye M2 paintball marker, it is a rather sweet feature we hope becomes more widely available to other markers. 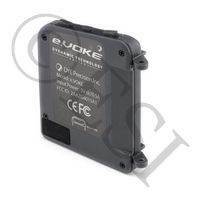 The eVoke is essentially an audio paintball assitant. It will have the ability to give you information about your marker and the game you are playing using audio alerts. Some of these alerts include: game timer alerts, shot tracker, and an elimination tracker. 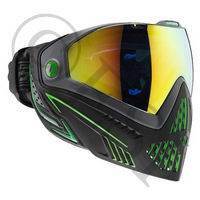 Forget everything you have ever known about paintball goggle straps. Dye has changed the game with this one. 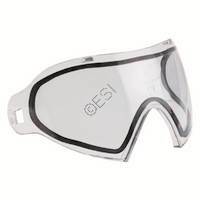 Amid recent concerns about goggles not being adequetly fastened to players heads, and being able to shift or even fall of during games: Dye has decided to end the conversation swiftly with the all new GSR Strap. Rather than a rubber strap that gets looser each time you use it Dye is now using an extra wide head pad, it distributes the force over the increased width, leading to no possible slips, while maintaing the comfort you expect. It is still adjustable and can be tightened or loosened using a dial. Go to any field and if you will eventually encounter some player who is filming themselves playing. There have been multiple aftermarket mounts made for mounting these cameras to your marker, barrel, or even feedneck. Dye has incorperated a camera mount right into the side of the i5, making it easy to caputre the best view in paintball: your view! No need to spend extra cash on a mount, instead use it to play!